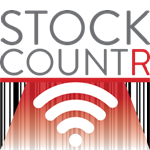 StockCountR on your smart phone or tablet allows you to send stock taking data to your computer. On your computer you can manage products and monitor stock take progress. When the stock take has been finalised you can export the results or just print off your stock taking report. 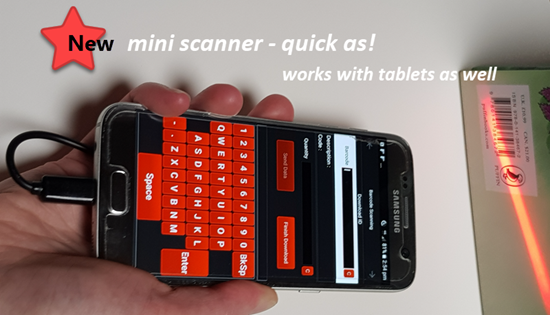 A new micro scanner that plugs into your phone or tablet – dramatically faster than using the camera to scan barcodes! Your mobile device sends to the Stocktake Master screen which can be installed for free on your Windows computer. Here the value of your stock can be calculated, imported, exported and reported in .csv format if required. The Stocktake Master back end software is available free for download. Each scanner/device combination is automatically allocated an ID and as the Stocktake progresses, the incoming scans can be viewed on the Stocktake Master for each ID. Multiple teams of stocktakers can operate simultaneously. After you scan a barcode, the StockCountR App will display a product description if it is valid. This saves so much staff time as you don’t have to go back to a download cradle and wait to find out what the errors have to be corrected and then re-scan. Save on the cost of buying or hiring and programming Programmable Data Terminals (PDTs). Use your own device, phone, tablet or computer for running the StockCountR App. A single License is for a once only complete stock take from start to finish. Additional Licenses can be purchased at any time. 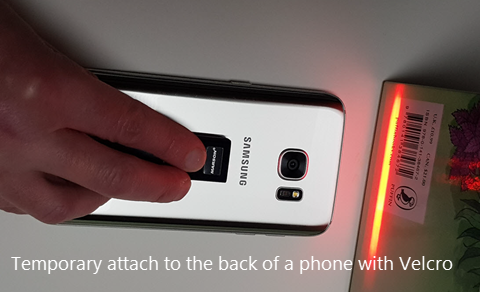 Scanner options for my device?